photoboothME exceeded our expectations. We wanted something that we didn't think anyone offered. To use our green screen studio with a photo booth. 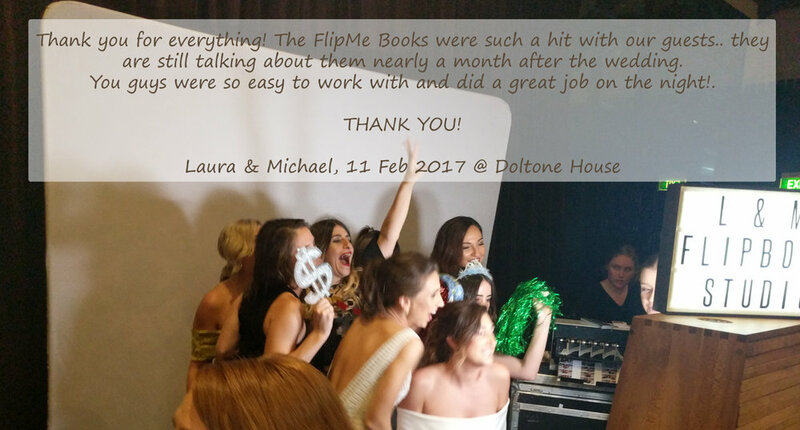 The team at photoboothME were happy to assist us in creating the experience we wanted for our launch event. The service on the night was great. They were happy to accommodate our timeframes and encouraged the guests to promote our images. We had amazing feedback and now have some entertaining photos from our launch to go alongside our professional photos. You guys offer a great service and made the process so so so easy from the moment I first called. I can't thank you enough and would definitely recommend you to others! Great service and kept the kids occupied with the photo booth. Rupert was an outstanding MC and played great tunes all night. Can not fault anything through out the night. Great job! LOVED having the photobooth! Was the best addition to our wedding. My now husband, family and guests had so much fun taking all the photos. They themselves would use it too! Would definitely use again for future events. Thanks so much! We were delighted to have Musiq Entertainment host our photo booth for our wedding reception. Looking back over our photos brought back so many wonderful memories. It was obvious every single guest enjoyed themselves and it was just a lovely addition to our reception. The staff on the night were patient and helpful and we would recommend Musiq Entertainment to all of our family and friends for future events. Just wanted to say a MASSIVE thanks for the photoboothME on Saturday night. It was a massive hit and cannot thank you guys enough for being such smooth sailors. The delivery and pick up were so easy and Amy was a fantastic attendant throughout the night. Absolute legends. The photobooth was fantastic, lots of great photos and the USB and album were received promptly at the end of the night. Would recommend. Fantastic customer service, went above and beyond to make our wedding day special. We enjoyed the photo booth with all props and DJ services, we only wish it was for a longer time! The leather bound album for the photos is a real keepsake and Rupert was great at making sure he played all the music we asked for. Would highly recommend! 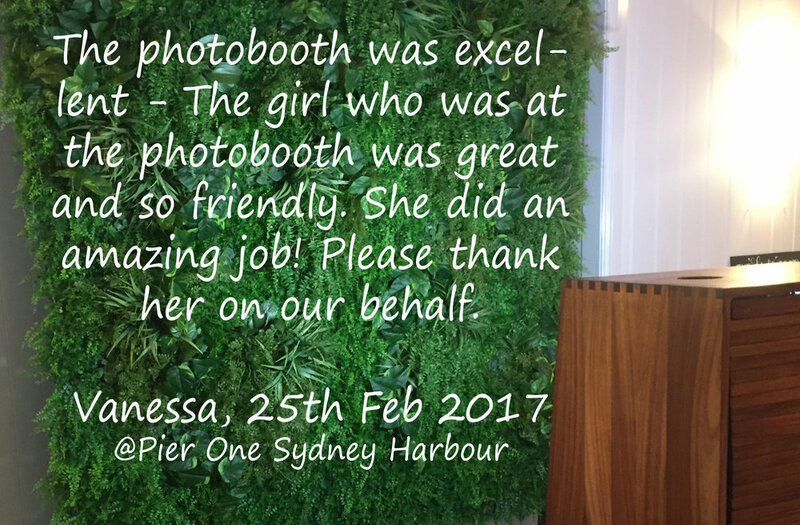 Kristy - 3rd march 2018 - Wanda Surf club cronulla - bespoke booth, green wall, dj. We used Musiq Entertainment to supply a DJ and a photobooth for our Wedding. Despite our wedding request form being quite vague with a lot of various genres, the DJ absolutely nailed the music on the night! We were so happy with the organisation by Musiq Entertainment in the lead up to our big day, as well as on the night! The photobooth and green wall was absolutely amazing, everyone got involved. We could not recommend Musiq Entertainment more for a function! Thank you. Great addition to the night! Everyone loved it. I cannot express how perfect musiq entertainment were, both leading up to my wedding and on the night. My guests loved the booth and the gentleman was helpful without being too involved. I will be referring as many people as possible! Photobooth Me were fantastic to deal with from the initial enquiry right through to the night of our event. They made the booking process easy, created a great custom space-themed backdrop for our booth and were completely on top of all the arrangements meaning I had peace of mind knowing that was one thing easily sorted for a large workplace Christmas party. On the night, the photobooth set up was super quick and the attendant that stayed throughout our party was friendly and great. Guests were loving the booth and they were in it all night! Really easy and smooth transaction from start to finish, communication and process was excellent. Event host on the day was also great. My only suggestion for improvement would be to accept online AMEX payments as it took a few tries to phone in my details. An absolute pleasure dealing with you guys - thank you!! Thanks team for an amazing job once again, see you next year! Amme and I were really impressed by your services on the night. Both the Photobooth attendant and the DJ were excellent. Guest really enjoyed the photo's as there was ques for the booth all night long! Also hearing the good oldskool tracks was nostalgic and really helped to create a fun and energetic vibe. Thank you to the Musiq team and Fiona for your excellent customer service and pro-active nature. Two thumbs up! Both the DJ and the assistant at the photobooth were friendly, polite and happy to be at our event. From start to finish, I couldn't ask for more. Thank you once again for making our Xmas party so much fun and one of the best we're had and all the feedback I've had has been very positive. What more can you ask for. 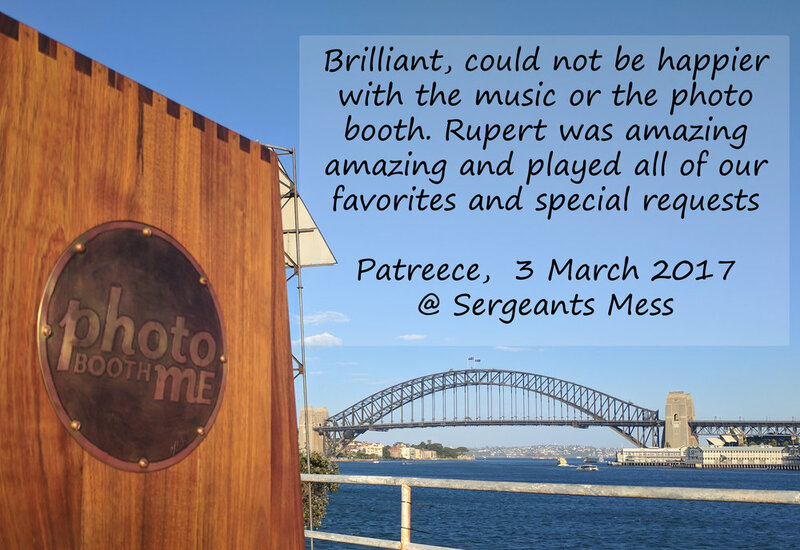 Thanks to Rupert and the Photobooth Me team. Our hashtagme booth was a huge success and a great way to share pics on the night. Your team were fast, efficient and happy to help. Will use you guys again for sure! The photobooth was one of the highlights of the night. It gave us a lot of candid and fun photos from our wedding to balance the more serious photos that our photographer took. It also really helped to break the ice and get people talking. Photobooth Me were also very flexible when our event organiser suggested using our flower arbour as a backdrop for the photobooth. It turned out fantstic and was great to be able to incorporate the arbour in to the rest of the night. The photo booth was a great hit at our party. Everything went smoothly from start to finish. Our attendant Alex was fantastic! Having the photo album to keep is the perfect memento from the day. A very professional company would happily use again. We hired out Musiq Entertainment photo booth for our wedding and we could not be more happier with the result and service all along. Both Rupert and Fiona are very professional and delivered beautiful guest book, prompt service and end products. Everything went well as planned and we did not have to worry about the photo booth all night. The set up and pack down was done smoothly and at the end of the night we were given a beautiful guest book filled with happy memories captured on the night. Highly recommend to everyone who values quality and professional service.